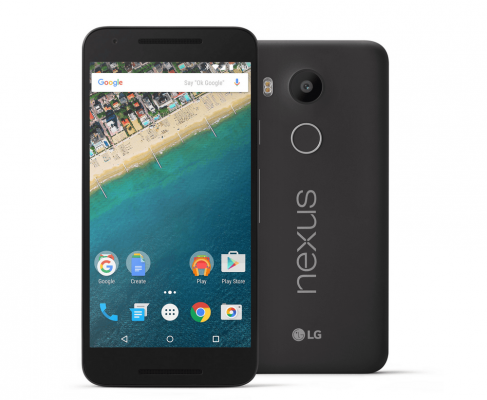 Google officially announced Nexus 5X and Nexus 6P on 29 september 2015. The Nexus 5X is manufactured by LG and Nexus 6P is made by Hawaii. Nexus 5X is a compact phone which comes with a 5.2 inch 1080p Gorilla glass display. The performance is as always for a nexus device, is top of the line. This phone comes with snapdragon 808 processor. The camera is 12 mega pixels, which according to Google, captures “very large” sized 1.5 micron pixels. 4K video recording is also supported. Fingerprint sensor is also present in this device, which is located on the back side of the phone. Kind of odd position to place a fingerprint sensor. The only small drawback is the low RAM. Only 2 GB RAM is available in Nexus 5X, which kind of seems to be low for nexus device. It could have been 3 GB. Ignoring the fact about the RAM, rest of the components are really great. Google has given really competitive pricing for the new nexus phones. Nexus 5X comes in two different variants. The 16 GB version and 32 GB version. Nexus 5X 16 GB price is 379$ and Nexus 5X 32 GB price is 429$ in US. The price in India seems to be way too much when compared to the price In US. In India, the price for Nexus 5X is 31900.